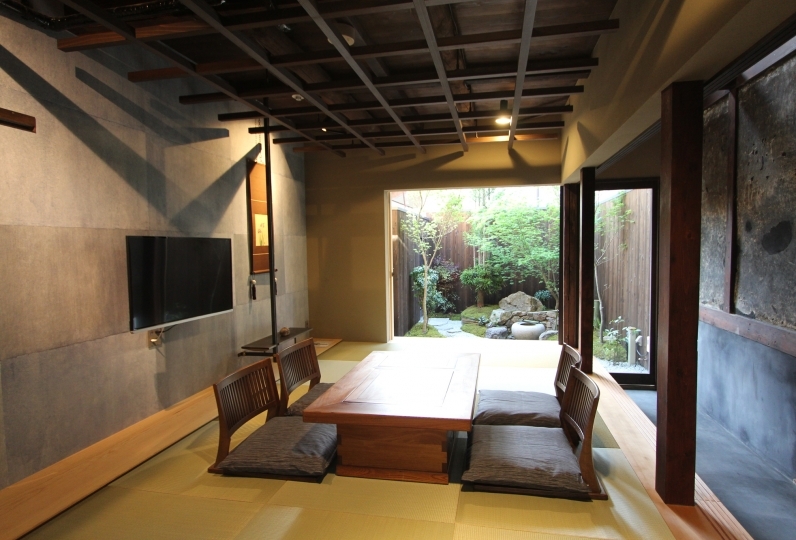 This hotel is located at Sanjo of Kyoto city. 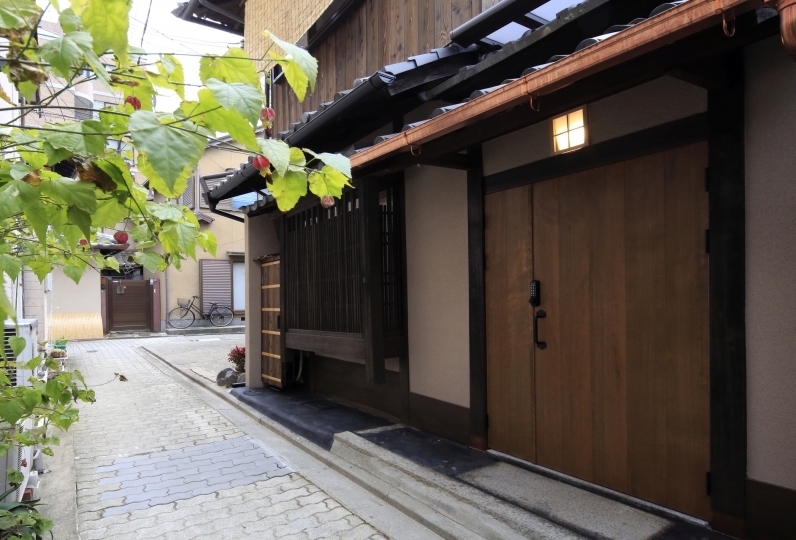 Sanjo is a central business and shopping area of Kyoto and has easy access to many eating and sight seeing spots as well as to all areas of the city. 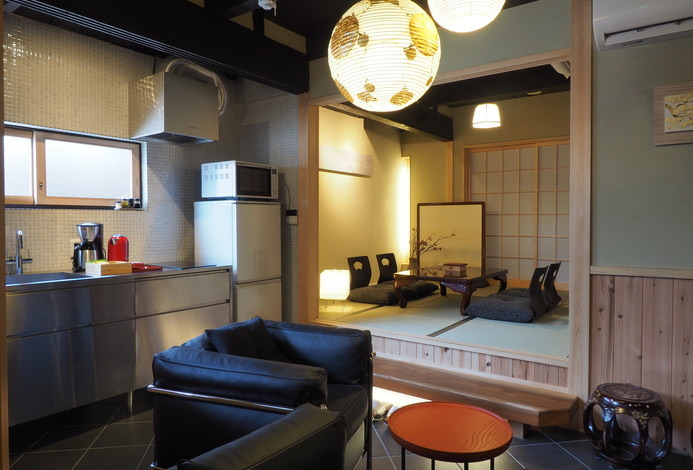 And this hotel which stands along the street of Sanjo is 7 minutes walking distance to Pontocho which is a flourishing street for eating dinner, and is also only 10 minutes walking distance to Gion of Shijo-dori where many Kyoto souvenir shops stand. This hotel which is located in the middle of the two areas mentioned above, is unexpectedly quiet during the night, which delight the guests whom stay. 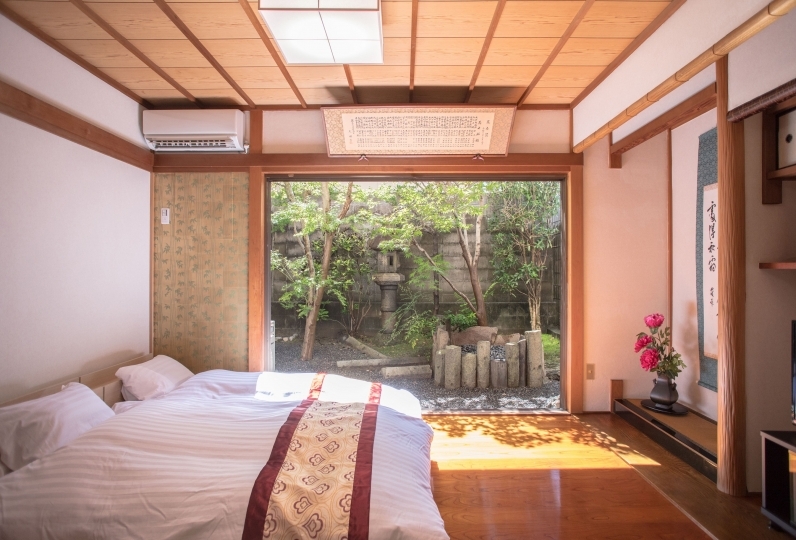 There are many original rooms in our hotel such as the ladies room and the special room "Kachofugetsu"(flower, bird, wind, moon). 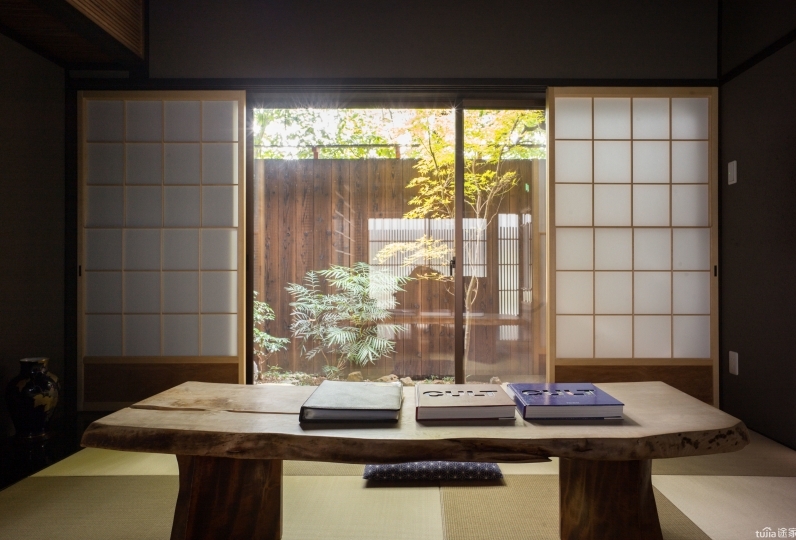 Kyoto Hana Hotel, a hotel of hospitality, will serve with great effort to make your trip a memorable one. I am a Japanese-style party, but the rice in the jar was a little hard. I thought that fine attentions including other guests were made and it was very wonderful. 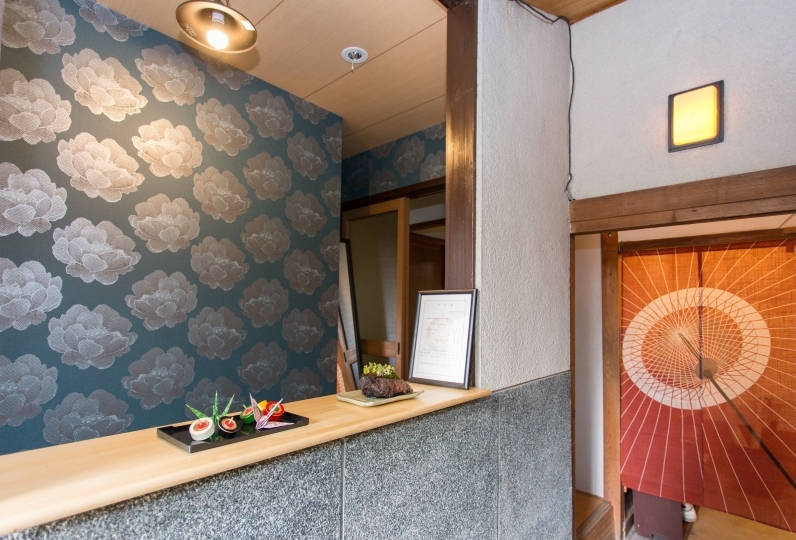 There is no public bath and all of the rooms are modular bathrooms, but because we want you to relax, we offer bath additives which you may choose for free at the time of check-in. 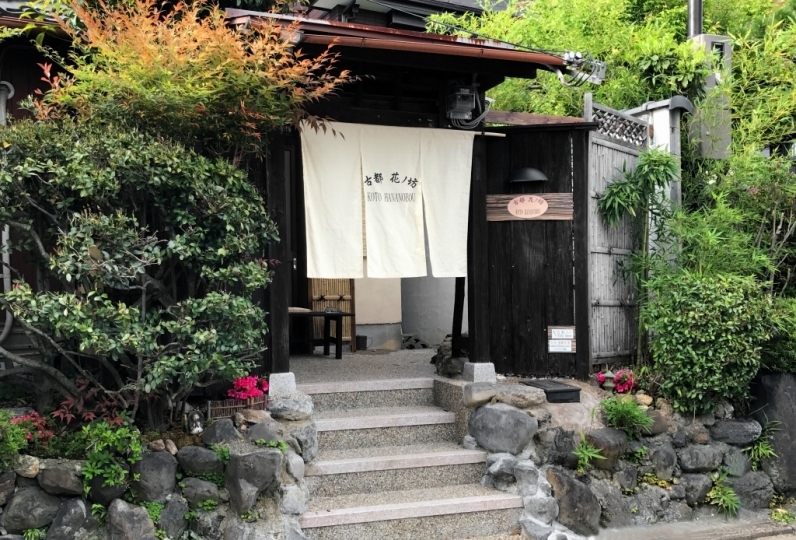 There is also a sento(public bath) nearby which has become rare nowadays. Please inquire the staff for details. The nearby coin operated parking area has no limit for the fees for Saturdays, Sundays and Holidays. 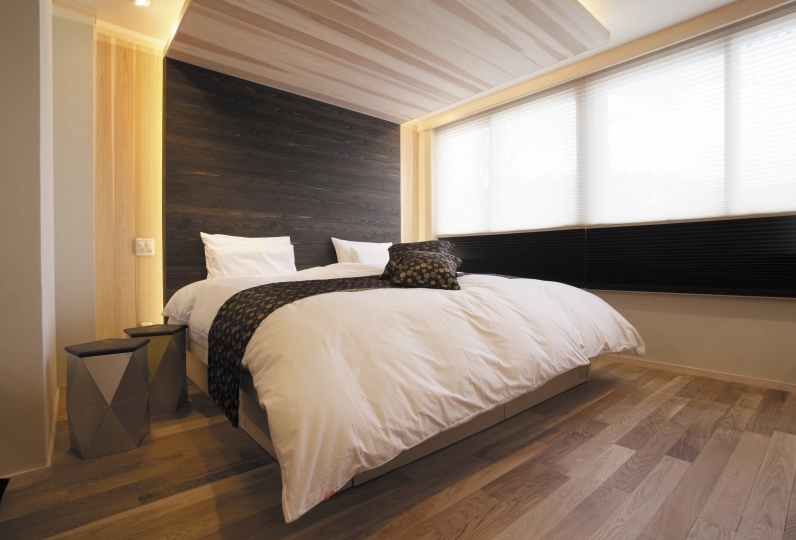 It may cost 5000yen for a night according to circumstances. 2.Guests whom want to unload and load the car regularly. The make up of 2000yen ≒It will be the fee of the 2 days of both the check-in day and check-out day so even if it is the check-out day, you may leave once and then park again. 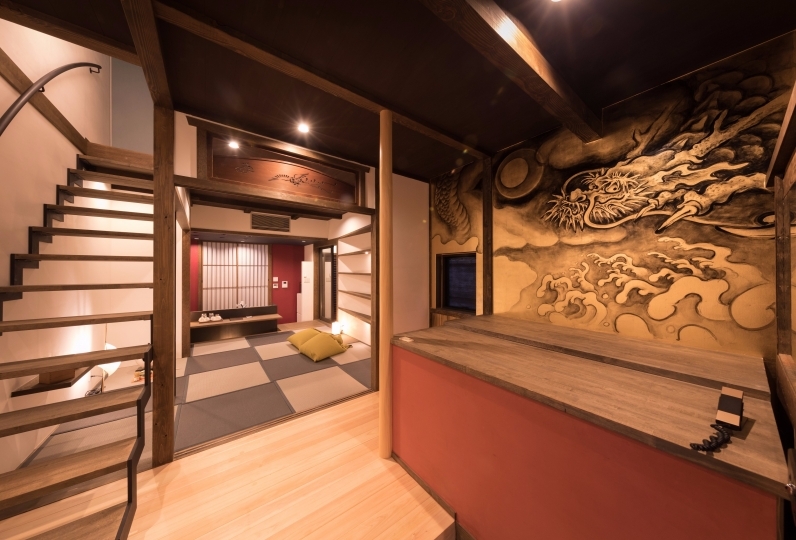 ■There are various rooms such as the special room Kachofugetsu(flower, bird, wind, moon) and Sakura, the ladies room, and the hotel has been introduced by the media as an innovative business hotel. 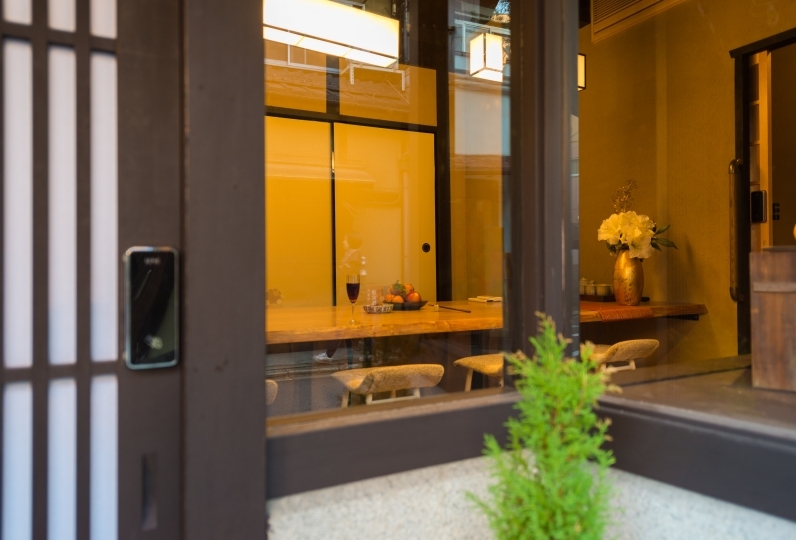 ■A minute walk from Sanjo Keihan station. 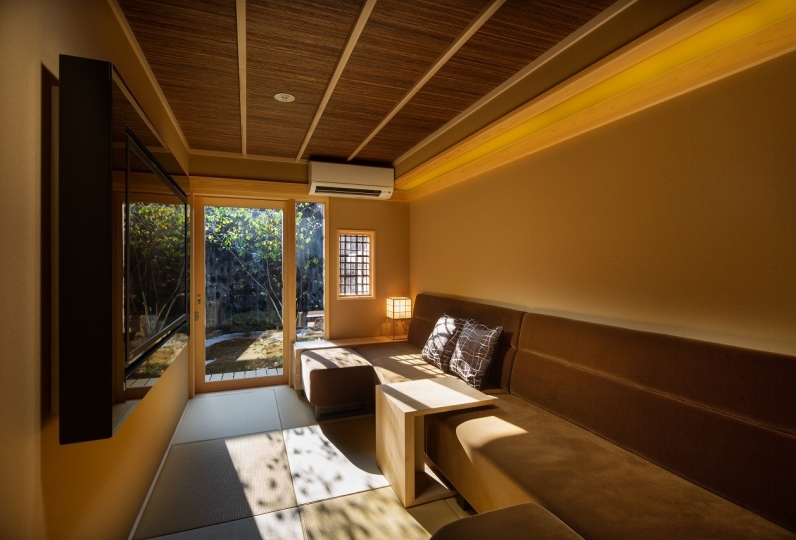 3 minutes walk from Sanjo Keihanmae city bus stop. 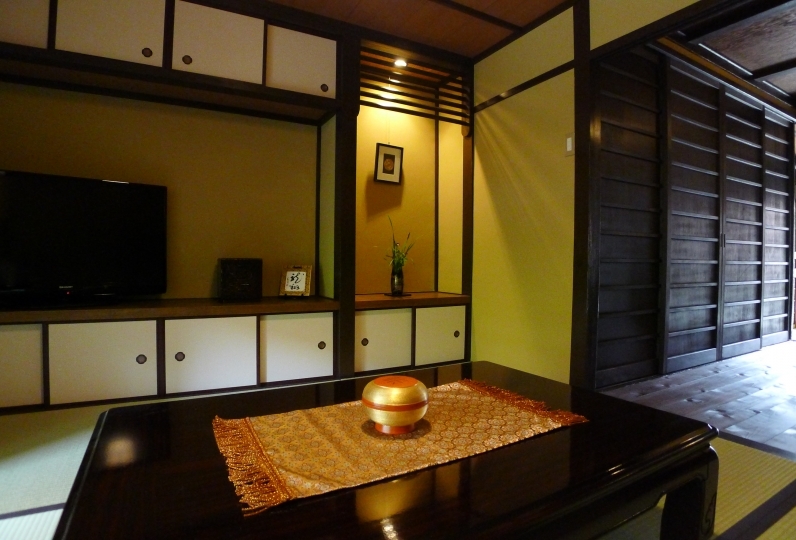 It is 7-10 minutes walking distance to Pontocho and Gion and is of great location for business and sight-seeing. ■All rooms will be non-smoking. If you would like to smoke, please use the smoking space outside on the 1st floor.